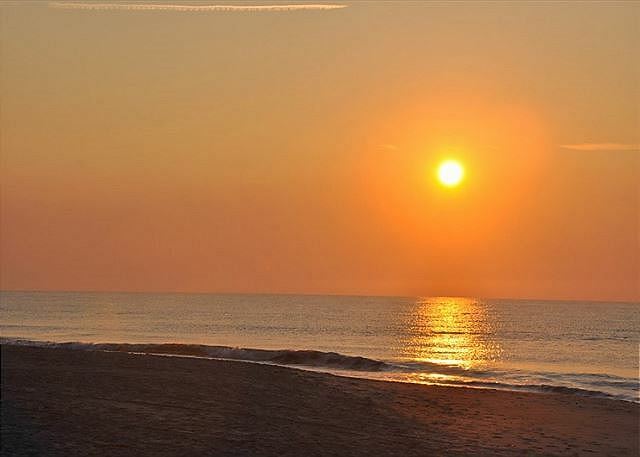 Located in the Carolina Dunes, this condo has been completely renovated. The condo features brand new kitchen and bathroom cabinets and granite countertops / all new furniture, mattresses, flat screen TV's, cookware, beach chairs / new top to bottom paint with smooth ceilings and molding / stainless steel appliances / recess can lighting / lamps / new bedding / drapes / plantation shutters and décor. Enjoy beautiful ocean views from the oversized balcony! You will feel right at home with its large open kitchen, washer and dryer, spacious living room and a private balcony giving plenty of room for you and your guests to enjoy your Myrtle Beach vacation. Master bedroom has a king bed with a full bath, the second bedroom offers two queens and the third bedroom with two twins. Had everything we needed with a great location. The condo was updated and had all the comforts of home. The condo was very accurately described. We were steps from the pool area and the beach. 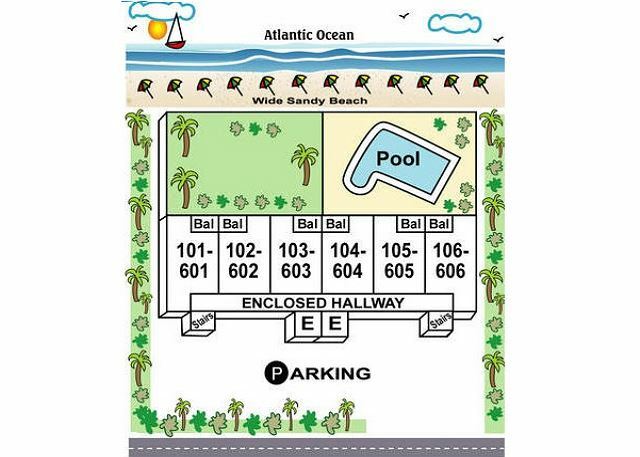 We were allowed to use the amenities at the Caravelle resort which was directly next door to Carolina Dunes. The resort had a lazy river, pool, hot tub, snack bar, etc. I would definitely consider renting this condo again for my next Myrtle Beach vacation. Rental was clean and kitchen had everything we needed. Location was great, easy walk to the beach and close to shops and restaurants, Broadway at the Beach and Outlets. Balcony is only balcony obstructed by a palm which is good for privacy, obstructed view of the beach. Clean unit, wish the bathrooms had a vent fan. WE had a great time. Condo was better than our expectations! Location was ideal for our trip, easy to find and just the right size. We absolutely loved the rental, it was clean, roomy enough for the 5 of us, was in a great location. The only possible complaint would be that there was a palm tree that partially blocked the view of the pool and the beach, this was a minor inconvenience. We rented a Unit for my son's Birthday. A total of 8 People. It was great! the Unit is updated and Clean. Great for kids and teenagers. The pool area was clean and filled with chairs and umbrellas. I would stay here again! It was a great location! The pool was right outside our door and the beach was just a short walk past the pool. We had a wonderful week! Great! Great!! 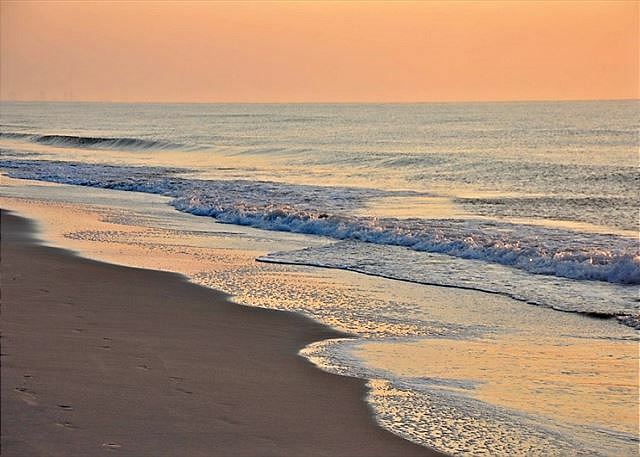 My family and I will only stay at Carolina Dunes and work with Luxury Beach Rentals. The staff and service are amazing!!! A great central location which really is right on the beach!!! Loved it. 3 bedrooms, lots of space, clean, beautifully laid out, great views from the balcony. You have access to other nearby pools (with your orange wrist band) if "your" pool is temporarily closed for cleaning. Also kiddie pool. Short easy walk to shore / water's edge. Every convenience. Very easy to drive to all the tourist attractions & great restaurants but area itself is on a side street with little traffic. Just perfect. I'm blissful. My first cousins and I planned a First Cousins Retreat and stay here. This condo was PERFECT. We enjoyed EVERYTHING about the location. Updated amenities, cleanliness, parking was available, the view was beautiful. There was plenty of space for us to bond like when we were growing up. This place brought us happiness. We are excited about booking again next summer. We had a wonderful family vacation at this condo and could not have hoped for more. The condo is simply gorgeous, and the views are breathtaking! This was our first time staying at the Carolina dunes and we cant wait to come back! Great location and view of ocean, away from the hub of Myrtle Beach. Condo we originally booked was being updated so we were moved to a different condo. This was clean, nicely decorated and a great layout. Everything useful in a kitchen was there to be had. Upon arrival we noticed the pool was full of dominoes and some debris - next morning it was cleaned up! The master bathroom had a loose hook and toilet paper holder other than that it was fabulous. We would have enjoyed a hot tub though! Will recommend to family and friends and would enjoy more holidays there. Property management was prompt and very polite upon first contact. They quickly adjusted our condo rental once they realized we booked one under construction. They were also very understanding when we couldn't send our signed contract due to power outage in our home location and time frame. Great stay for family reunion, rented two units that served us well. Staff was friendly, room clean and well equipped. We all had a great time in this condo. View of the beach from balcony was good. All the staff was very helpful and nice. We had a great vacation in this unit! The condo was clean and well maintained. It was convenient to attractions in Myrtle Beach with wonderful restaurants nearby. We would definitely rent this unit again!! Condo was clean and view was great. Beds comfortable. All amendities where perfect. Can't wait to visit again! Great place! The condo has recently been remodeled. Very clean unit. The rental staff was very nice to work with. One of the best features was you are only a few feet from the beach. Very nice spot for a family. This is the nicest condo we have every stayed in! The management company is great to work with and the check in process was a breeze. Cant wait to come back next year! Love the unit, property management was a pleasure to do business with. This rental was spacious, had an oceanfront view. The entire place was breathtaking. My family and I enjoyed it immensely and will be returning again. This condo is beautiful and the views are amazing! We have rented many condos in Myrtle Beach and this is our new favorite! Everything is as described however the pictures do not do this place justice, it is even nicer than we though it would be. The ocean views from master bedroom, living rm, dinning rm and kitchen are incredible. Plenty of space to sprawl out and the location was great too! We have found our new vacation spot! Robert at the management company was excellent! We described what we needed (clean and new) and he found the perfect place for us! The unit was brand new and clean and not loaded with a lot of dust collector items. Perfect unit for a family with allergies or asthma issues! Our vacation here was perfect. We feel very lucky to have found this condo and intent to make it our vacation spot every summer! The kids had plenty to do, our kids ranged from 6 to 16 and were never bored. Great place and highly recommend! This condo is so beautifully updated and everything is brand new! We loved it and couldn't have asked for more. Also clean, quiet and only a few minutes away from golf, restaurants and entertainment.